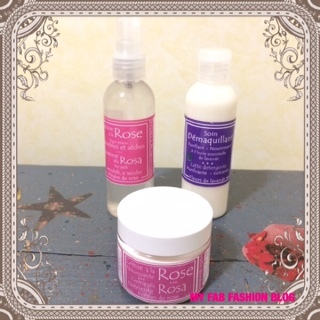 Lavender floral waters and pink, with rose essential oils, palmarosa, rosaeodora rosea, pink geranium. Effective for sensitive skin with couperose. Does not contain alcohol, preservatives, dyes or added. Sweet lotion lavender floral water (purifying, soothing), with melilot (protective of capillary circulation, anti-couperose), rose (anti-couperose, firming, tonic), and palmarosa essential oils, is perfect for sensitive, delicate, fragile face skin, prone to couperose. I applied the lotion to the pink morning and evening, after normal cleansing facial. 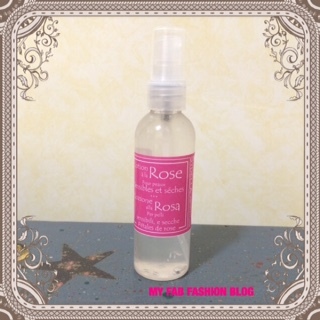 The lotion rose, purifies, moisturizes and soothes the skin from redness (for me data from the effect of the sun on the skin), also, the scent has a calming and anti-stress place to deal with a long day of work.